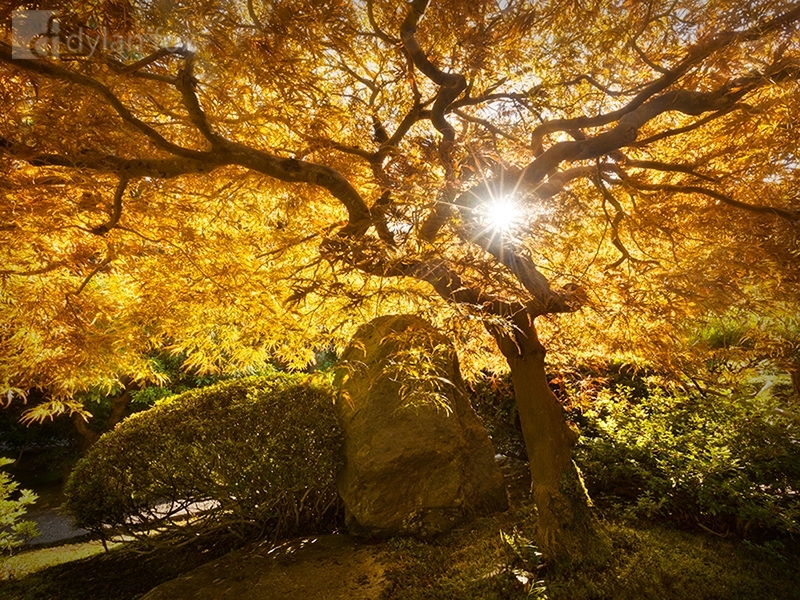 The setting sun bursts through the leaves of this Japanese Maple Tree in Portland, Oregon. Some of the trees were still greener at this stage while some had turned. With the sun back lighting the leaves they appeared even more yellow which worked in my favour. Secure your limited edition, Japanese Maple Tree photographic print, 'Hidden', by selecting your desired print size in the menu to the right.